Thinking part of brain shuts off (hard to think straight) – if you stop to think if its better to run away from the lion or climb or the tree or play dead, you wasted precious time and its probably too late. Thinking shuts down to allow your body to react quickly to keep you safe (most therapy for PTSD involves learning how to turn the thinking part of the brain back on). Tunnel vision (hard to focus on anything else) – ensures that you stay focused on the danger in front of you and eliminates distractions. Digestion shutting down (stomach problems and dry mouth) – when your body is in survival mode all resources go to fight, flight, or freeze. If you’re not going to be alive in a moment why waste precious energy digesting food? Your body automatically redirect those resources to fight, flight, or freeze. 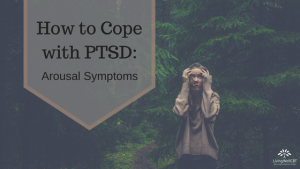 This is why many people with PTSD have stomach/indigestion problems. Immune System shutting down – Similarly your body is not going to waste precious resources fighting off a cold if you might not survive the immediate danger, so all energy goes into survival mode. This is why people with PTSD get sick more often and suffer from many chronic illnesses. 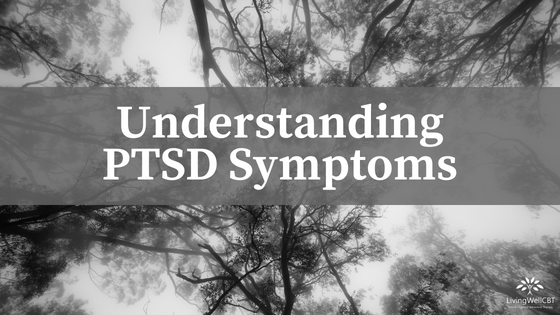 I previously wrote about understanding the symptoms of PTSD here and learning about how it develops and factors that maintain it here. 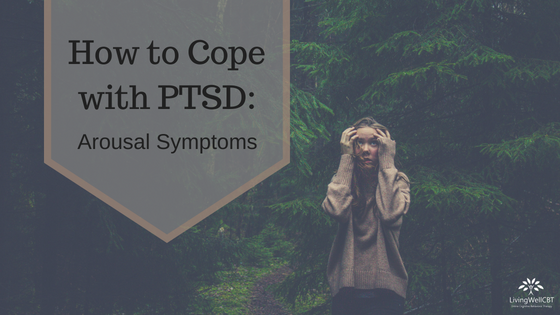 Today’s focus is how to cope with the cluster of PTSD symptoms called re-experiencing or “intrusive” symptoms. 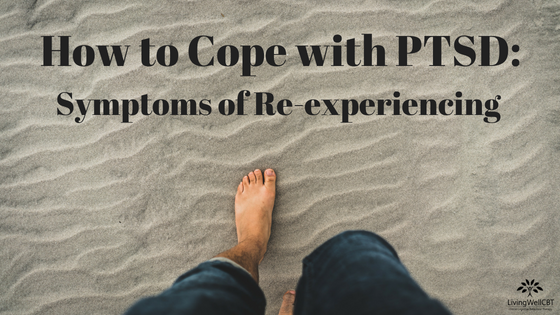 Re-experiencing or Intrusive symptoms of PTSD are symptoms where you feel as if you are re-living the trauma or being haunted by the trauma. The memory of the trauma plays out so vividly for you that you feel as if it just happened again. The most intense version of this is when you have a flashback and for awhile you forget that you are safe and you believe you are back in the trauma again. These memories are “intrusive” meaning they pop up and intrude on your day at the worst times. 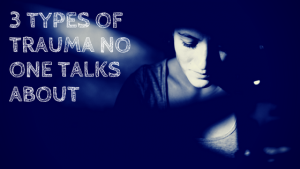 These memories also cause intense emotional and physical reactions, leaving you feeling very upset and very worn out. 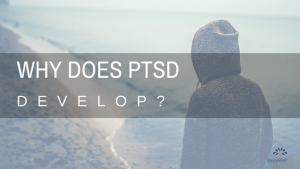 Why do we Re-experience the Trauma? So another way to think of post-traumatic stress disorder is: after – stress – anxiety – reaction. This doesn’t sound as foreboding as post-traumatic stress disorder but still captures the essence of it. I also like to think of PTSD as a Normal Reaction to an Abnormal Event. 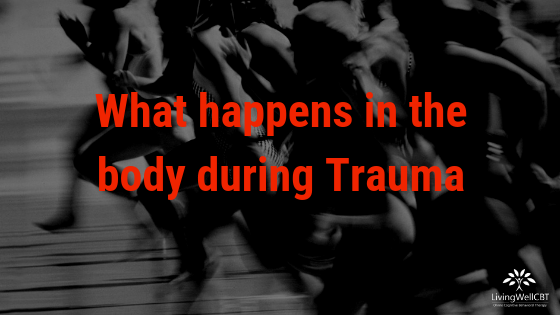 It is important to remember that our mind and body is designed to survive and trauma kicks on our survival response. PTSD occurs when you struggle to turn off that natural trauma response in your regular day to day living. There are many trauma focused CBT treatments designed to help you learn to slow down your mind and body’s trauma response and move from automatically reacting to situations to choosing how you want to respond in situations.